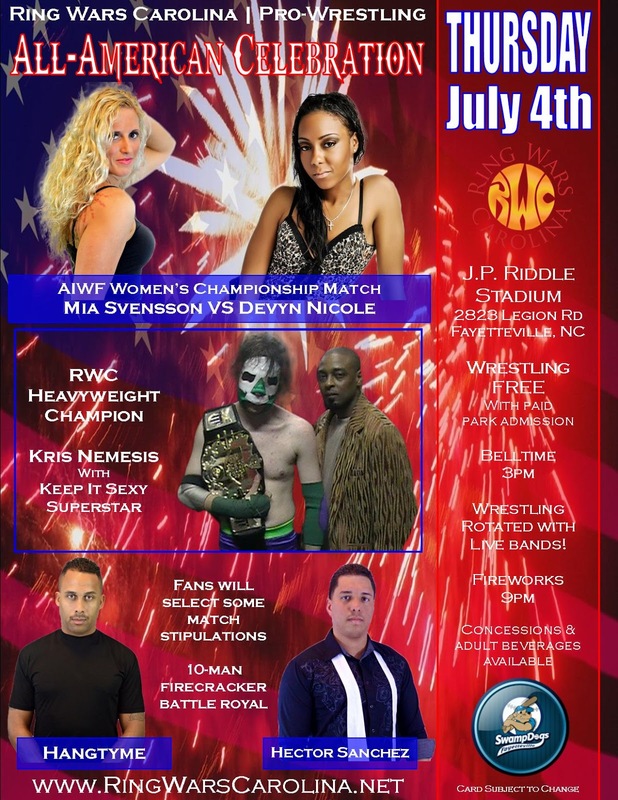 Ring Wars Carolina gets patriotic this 4th of July! Come join your favorite RWC Warriors at "The Swamp" in Fayetteville, NC. First bell is at 3pm! Live wrestling! Live bands! Fun for the whole family! 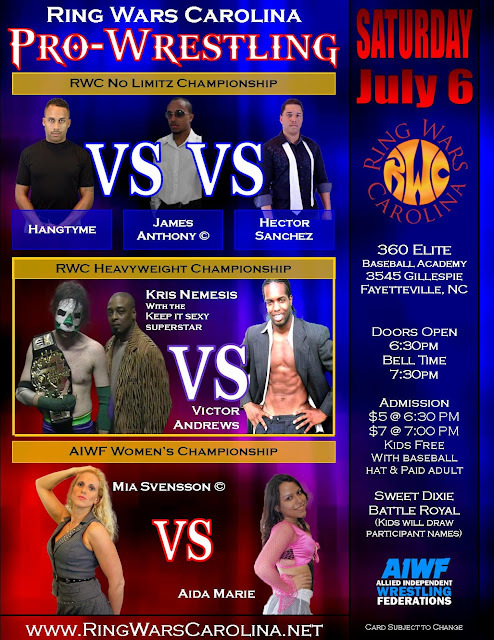 And two days later, don't miss Ring Wars Carolina at the Indoor Flea Market in Lumberton, NC! Lots of title matches - plus Ring of Honor's STEVE CORINO will be in attendance.